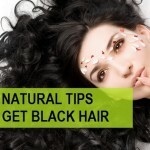 Eager to get shiny and lustrous black hairs? Are you looking for the ideal alternative to cover up those grey strands with a classy shade of black? 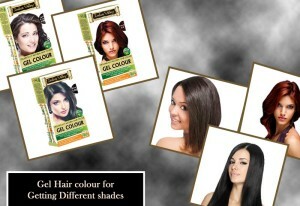 Are you wondering as what is the best hair dye to colour your hairs with an enigmatic shade of black? 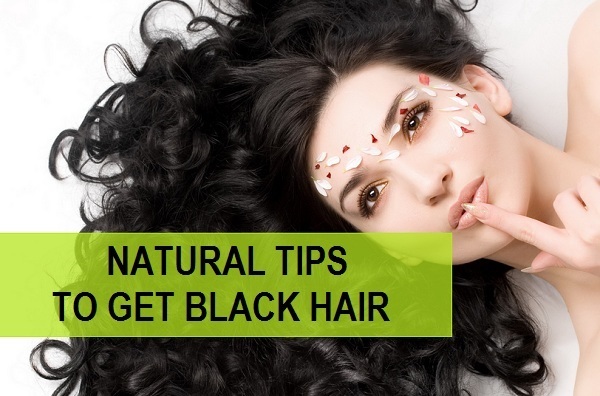 Well, colour smart and colour safe with the range of Natural Hair Dye that can help get black hairs of excellent shine and volume in the most natural manner. It is best to opt for a combination of herbal henna powder and the completely organic Indigo powder that can get you classy shade of rich black colour. Natural hair colours like the henna powder and Indigo powder contains no dangerous chemicals like PPD, Ammonia, Hydrogen Peroxide, heavy Metals, Alcohol, Resorcinol, Barlum and no other added Synthetic additives to be precise and is free from any kind of damaging effects on the hairs and scalp. The beneficial essence of the all-natural Henna and Indigo leaf powder makes it suitable for application on all hair kinds and most importantly, is free from any kind of side effects. Using this dye can help enhance the feel and texture of the hairs in an exceptional manner. Wear plastic gloves before you start. Take the substantial quantity of Indigo powder for hair and the herbal henna powder as per the instructions in the instruction leaflet that comes with the packet of the same. Take some Indigo leaf powder depending on your hair length in the glass bowl and equal amount of the herbal henna powder and mix it with black tea till you get a thick mud like consistency. Make sure that you mix it well. Keep this mixture covered with a plastic wrap and leave it overnight for the colour to develop well. Make sure to apply petroleum jelly or coconut oil to the hairline, ears and other parts to take the necessary protection from hair colour stains. With the help of the application brush, apply the paste evenly on the hairs taking small sections of the same. Use a shower cap to wrap up the hairs to enable the mixture to develop faster. 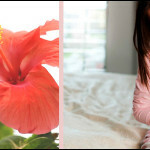 After 30-45 minutes of application, rinse off the hairs thoroughly with the help of water. 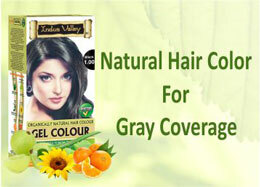 Get jet black hairs of excellent shine and volume with the Organic Hair Colour that talks of natural care.